OKLAHOMA CITY – In less than one week, more than 14,500 people signed a petition hosted on CitizenGO.org opposing a satanic black mass in Oklahoma, but the black mass organizer says the petition doesn’t mean a thing. The black mass, a controversial ceremony held annually by the satanic group Dakhma of Angra Mainyu’s Church of Ahriman and its leader Adam Daniels, is set to take place on Aug. 15 at the city-owned Civic Center Music Hall in Oklahoma City. 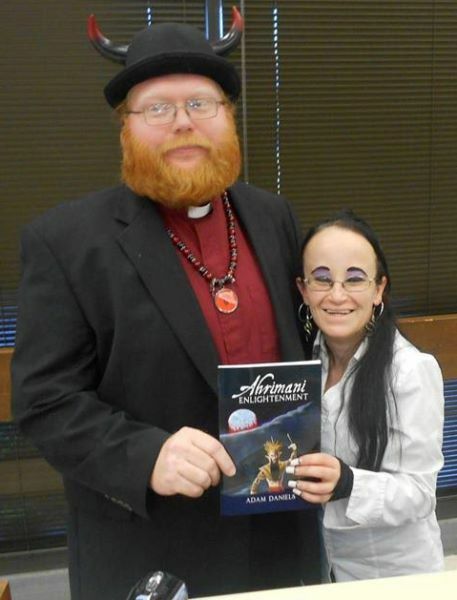 Daniels said the Church of Ahriman is a mix of Zoroastrianism and other theologies like Hinduism instead of straight Satanism. In instances where animal sacrifice or blood is required for rituals, the church finds alternatives to use, like the menstrual blood from its members.